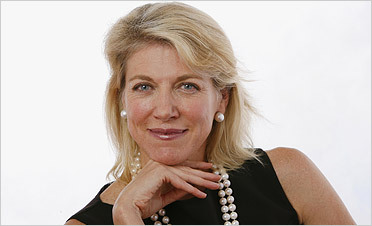 In a recent interview* with Lyn Forester de Rothschild we learn that she and her husband Evelyn de Rothschild are investing hundreds of millions to become the queen and the king of India`s fruits and vegetables. India is already the first world producer of fruits, and the second of vegetables and until today its production was essentially consumed by the over one billion Indian population. Lyn and Evelyn de Rothschild have recently decided to make big money in exporting the Indian fruits and vegetables to the European and Japanese markets. The diverse agro-climatic zones of India make it possible to grow almost all varieties of fruits and vegetables while the labor cost is a tiny fraction of the European or Japanese: Lady de Rothschild is looking forward to pay the Indian workers $2 a day. Even with the transportation and duty costs, the Indian fruit and vegetables are likely to bankrupt the European and Japanese farmers. In Europe, most of these farmers are heavily indebted as the EU paranoid sanitary norms as well as the packaging requirements of the supermarkets have forced them to invest in expensive machinery and infrastructures. When the Indian fruits and vegetables arrive in Europe, most of these indebted farmer families will have to say goodby to their farms which will be confiscated by the banks. Many of the still remaining independent European farmers are producing fruit and vegetables since the independent livestock and wheat farmers have already been decimated by the "market economy" making profitable only the giant exploitations in these sectors. The foreseable bankruptcy of the European fruit and vegetables` farmers will fatally result in that entire agricultural communities will have to leave the rural areas in order to survive. In his recently published book, "The Live Earth Global Warming Survival Handbook", David de Rothschild (son of Evelyn de Rothschild) is promoting urban living in order to economise energy and thus stop the "man-made climate warming". Although a growing number of independent researchers are refuting the "man-made warming" new religion, we are free to believe in it but we are also free to connect the dots and understand that the globalist elites need to have a tight physical control over mankind and that such a control is only possible if we are all herded into the cities. There is another likely consequency of a massive increase of the Indian fruit and vegetables` exports. As said previously, the over one billion Indian population is consuming almost all of the national production. When this will be reoriented by the Rothschilds toward the vast European and Japanese markets, it`s improbable that such an increase of the Indian production can be reached that the quantity available for the Indian consumption will remain sufficient. Moreover, at that point, the logic of the market economy is likely to inflate the fruit and vegetables` prices on the Indian market which will achieve to deprive most of the locals of these important nutritional resources. As most of the Indian households cannot afford meat, the main nutritional resources are rice, fruits and vegetables. A shortage in fruits and vegetables in India can only result in an increased malnutrition and mortality. We can also suppose that the intensive agro-technology which will have to be used by the Rothschilds` farmers in India will involve the repetitive use of pesticides which is likely to sterilize soils and poison water reserves in a few years, just as it did in many parts of Europe. It is stunning to see how the Rothschilds new agro-business project may well fit also in this other prioritary globalisation agenda known as the depopulation of the Third World.